Hello Doctor is a free mobile app that empowers people to control their health. 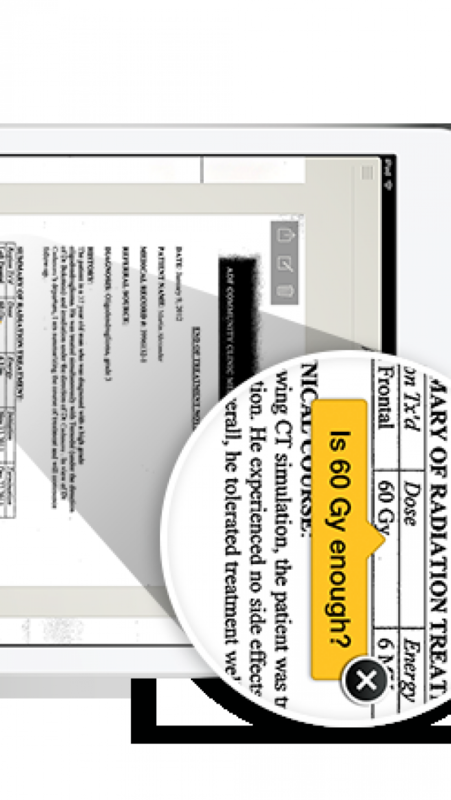 It allows users to easily aggregate all of their medical records (paper or digital) on their mobile device and help them access any one of them in 2 taps. Share your medical records with your doctor via email or fax. Then take notes directly on the documents so you don't forget or lose any important information. Uploading documents has never been easier: just use your device’s camera send a scanned document to the Record Tagger. You can even organize your documents into categories for easy navigation. We highly believe that patient safety should come before all, so Hello Doctors uses bank level security measures - SSL, encryption and the security of HIPPA guidelines for handling health records. We believe Hello Doctor will revolutionize the way patients handle their health, while shifting the balance of power into the patient’s own hands.